Breaking: Conservative Senator Forcing Vote on Bill to Ban Infanticide! Democrats this week unveiled their new plan to legalize abortion at ANY point in a pregnancy. As if that wasn't bad enough, Virginia Democrats actually pushed a bill to legalize post-birth abortions. This is infanticide. There is no other way to describe it. 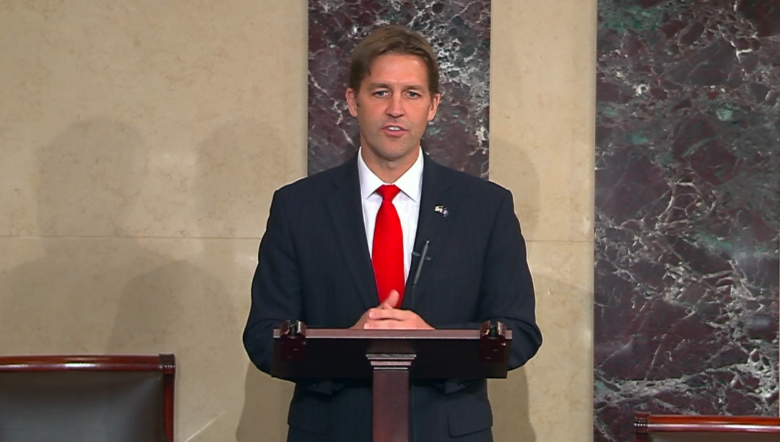 Senator Ben Sasse just introduced the Born-Alive Abortion Survivors Protection Act. Not only would this put a stop to the Left's abortion plan, but it would require doctors and nurses to provide life saving and resuscitative care to newborns. If a baby is born alive from a botched abortion, then that baby must be allowed to live. This shouldn't be controversial, but both Democrats and Republican leaders are trying to stop this bill from reaching the floor! You MUST fight back against the Left's evil policies! Please, send your instant and urgent FaxBlast to Congress right now and FORCE them to pass the Born-Alive Abortion Survivors Protection Act before it's too late! This week, we learned just how radical abortion advocates have become. Virginia's Democrat Governor announced on the radio that the supported a bill to allow doctors and nurses to deliberately neglect newborn babies. Many of your colleagues want to make this a nationwide policy. They want to legalize third trimester and even post-birth abortions to protect the "health of the mother." A newborn baby cannot hurt anyone, let alone their own mother. There is also literally no medical reason to abort a baby just days before delivery. Mahatma Ghandi famously said that "the true measure of any society can be found in how it treats its most vulnerable members." How would you measure a society that allows for viable babies to be killed hours or minutes before birth? A country that allows doctors and nurses to deliberately neglect newborn babies that desperately need help? Senator Ben Sasse has introduced the Born-Alive Abortion Survivors Protection Act. You must do everything in your power to put this bill onto President Trump's desk. Under this bill, if a baby is born alive, either naturally or as the result of a botched abortion, doctors and nurses would be legally required to provide life-saving and resuscitative care to the child. This bill is common sense. And yet, both Democrats and Republicans are trying to stop this bill from passing. If you allow these radical abortion policies to take root, I will remove you from office. If you can't even muster the courage to defend the most vulnerable CITIZENS in this country, then I will replace you with someone who will!